Shimmer-struck temples provide a stunning finishing touch for gradient-lens Italian sunglasses fashioned with sleek cat-eye curves. 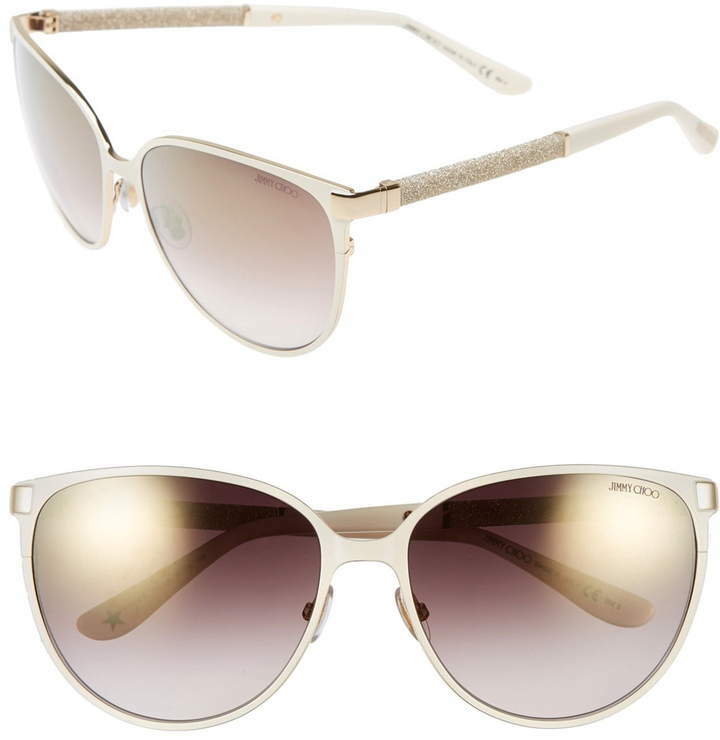 Style Name:Jimmy Choo 'Posies' 60Mm Cat Eye Sunglasses. Style Number: 1045899. Available in stores.